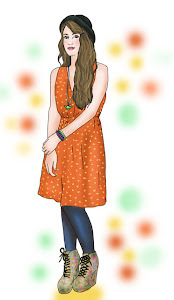 No prizes for guessing where this pretty dress is from - yes, it's Joanie Clothing - again! - What can I say? 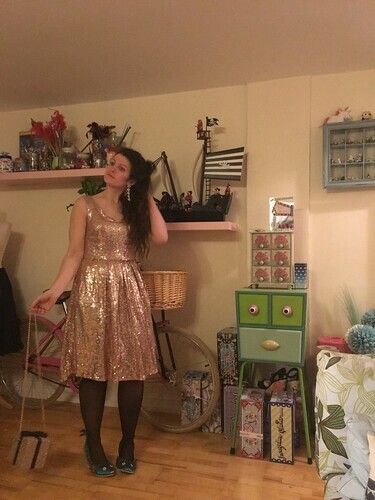 Everything I've ordered from them has been just lovely, and this gold sequin Uma dress is no exception. 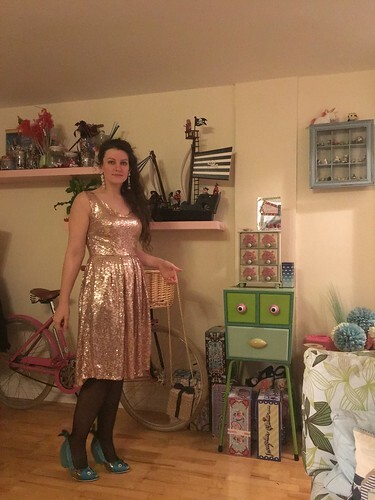 I wore this to a Christmas drinks get-together and as well as being super flattering, I didn't lose any sequins, which is always my concern with dresses like this. 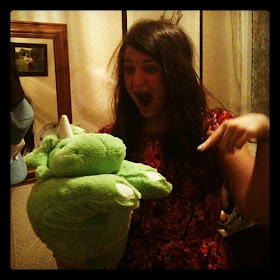 I recall last NYE and the flack I got for the next few days as I'd left sequins all over my friends' house...! I wasn't sure about this bra - it seemed a lot less obvious before I left the house (isn't that always the way?!). 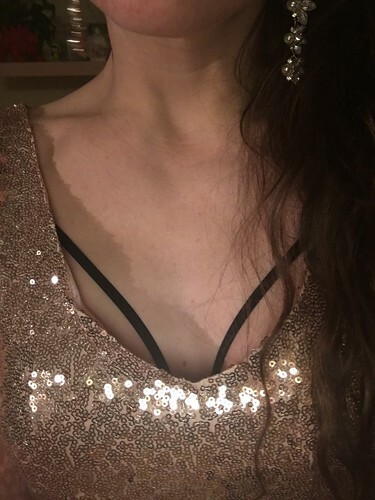 I have to admit, I've been rather obsessed with harness style bras lately and I picked this particular one up from H+M for just £5 in their pre-Xmas sale. It's absolutely lovely and I've had so much wear from it already. I kind of like this underwear-on-show thing, of late.. 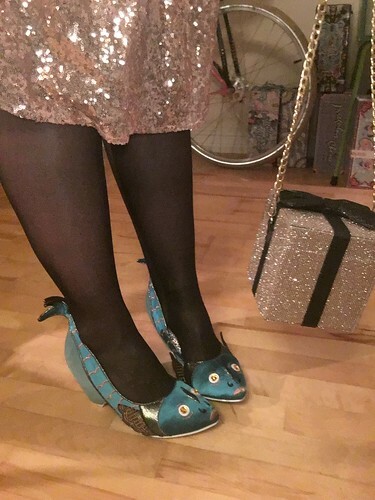 I took the opportunity to wear my new Pinky Perky fish heels as well, as there's a lot of gold detail to the shoes, which I figured would go nicely with the dress. Black tights to hide the mystery bruises which I seem to have managed to cover my legs in recently, and my present box bag, which was something of a party outfit staple over the past month or so. The dress looks gorgeous! Also nice to see you in earrings too! I've not seen this harness style bra around, are they comfy or is it the way it looks that you like, or both??! A bit of both really - they seem to be around on a lot of my favourite lingerie sites (Playful Promises is a current fave) and I really like the way they look. Love love *LOVE* your dress! Thank you - I feel as though I've failed at sewing anything new for a while but I've certainly added some pretty new dresses to my wardrobe anyway. This dress is beautiful on you, so sparkly! Thanks - it's so nice, no sequin droppage at all!